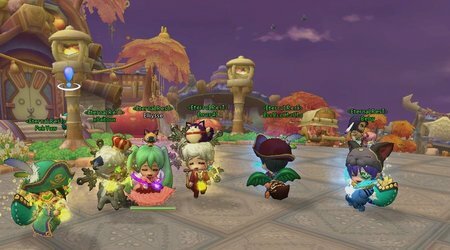 Players can join a Guild on Spirit Tales at any time, although if they wish to create their own Guild they need to reach level 20 first. Then players need to speak to a Guild manager and pay a 1 gold fee. The Guild will then gain EXP as Guild members complete Guild quests and will eventually level up, gaining additional Guild features and benefits. Quests can be purchased from the Guild manager. Players can choose to donate to the Guild to increase their contribution as well as leave the Guild at any point. The leader of the Guild has many privileges including disbanding the Guild, changing the tax rate, editing announcements, inviting players and more. The Leaders can also give other Guild members privileges such as inviting players, changing ranks and more. Finally Guild members can leave messages at the Guild message board, Guilds can have up to 20 message pages players can post messages on.